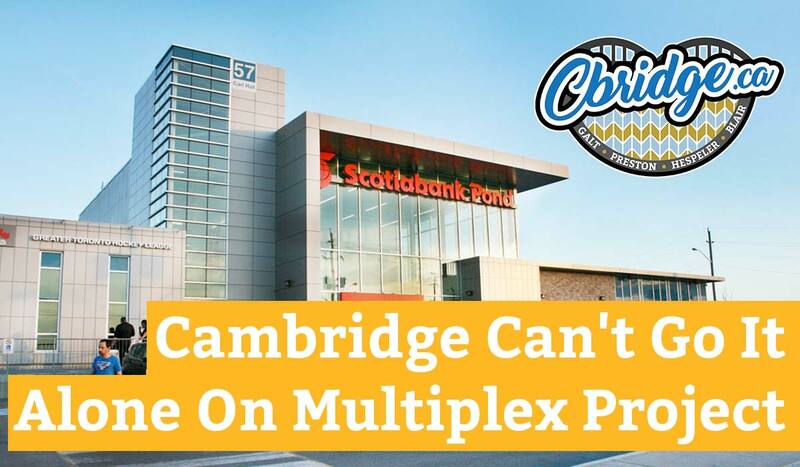 The latest chapter of the ongoing Multiplex saga has unfolded lately, with news that Morguard and the City of Cambridge were unable to come to an agreement to build the facility at the Cambridge Centre. I had heard rumours that this whole process was failing along the way, so this didn’t really come as a surprise when it was finally announced. The reality of this whole arrangement was it may have sounded great on paper, but in the end the City of Cambridge was just spacer filler to a large real estate corporation. Morguard owns all sorts of property and wanted to treat the City of Cambridge as if it were any other tenant in the mall. This City on the other hand, they wanted to invest $60m+ into Morguard’s property, so there was no way the City wanted to be treated like a regular retail tenant trying to secure space in a mall. In some ways it feels like Morgard needed Multiplex more than the other way around. The Cambridge Centre is in rough shape. They lost Target 4 years ago and have only just recovered from that by entirely remodelling the huge property. They haven’t even started dealing with the Sears and Sportchek problem they now have. The issue in pretty much every mall in Canada is there isn’t ever going to be another huge department store chain coming to fill those massive retail spaces. Once big US retailer Target wiped out Zellers, then massively failed in their Canadian launch, there’s really no going back. Morgard could have really used a non-retail anchor tenant like the Multiplex. Instead the property will probably be redeveloped into condos for lack of a better option. Almost since the start of this process Buckingham Sports has voiced their willingness to either work with the City on a project, or to do something privately on their own. From their perspective they don’t want to invest in Cambridge if the City is just going to build a new, rival facility using taxpayer dollars. And that’s just smart business. Why would you invest somewhere in the neighbourhood of $30m only to have to fight against a publicly funded facility? 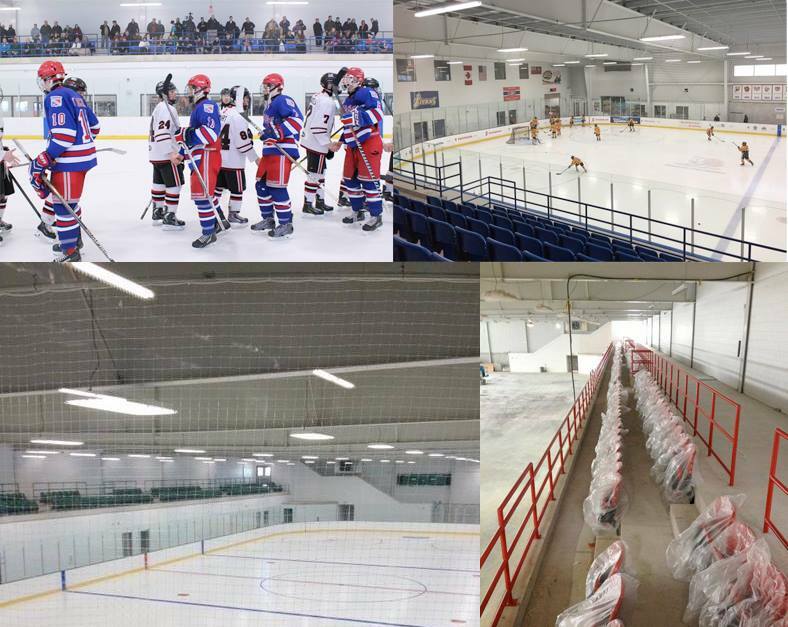 Buckingham Sports recently built their own privately funded facility in North York called the Scotiabank Pond. I know I’ve seen people in recent discussions deriding the Cambridge Sports Park facility, but the reality is, Buckingham bought the property and has improved it a bit. I play sports there pretty much year round and have seen the improvement on the slo-pitch field upkeep, the addition of lights to field 3 etc. They want to invest in Cambridge and build a state-of-the-art facility in the mould of their Scotiabank Pond project. They can only do so much to improve the existing facility and have waited to see what the City of Cambridge actually plans on doing. For whatever reason, the previous Craig administration was entirely unwilling to entertain partnering with the Cambridge Sports Park. This has always seemed like a great proposition for the City, yet it seemed like they were never taken seriously. 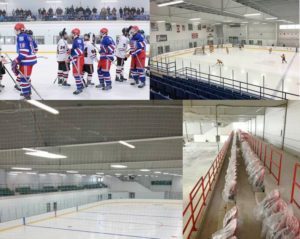 I play hockey at the former Ice Park and heard recently that the City already buys allocations of ice time for local user groups to book at rates comparable to other facilities in town. I know a lot of the resistance I’ve heard to allowing Buckingham to build their facility is that buying private ice time is more expensive, but really all the City would have to do is make an arrangement for ice allocations, like they already do. Buckingham has already has experience doing a project on leased government land, the City just needs to build in contingencies for public usage of the facilities in perpetuity. If the Multiplex cost could be potentially halved, then all the City has to build is aquatic centre and gymnasium space. And since we wouldn’t be bearing the cost of building 4 hockey rinks, we could probably look at building the 50m pool that all the user groups have wanted throughout this process. Building the 50m pool makes sense because there is a literal need for that type of pool in the region. As I understand it, Laurier University has the only 50m pool in the region and has made overtures that they intended to close the aging facility. So the pool would be filling a need and allow Cambridge to become a destination on the swimming circuit in Ontario. And since we’d be building a smaller facility, the project would require less space, which would allow the City to entertain smaller properties, like the Wedges & Woods property on Can-Amera, or the service lot on Bishop Street near Conestoga Boulevard. Both options would be central like the Cambridge Centre and in near to the Ice Park and wouldn’t require huge land acquisition costs. If we’re ever going to see this project through, the City needs to work with willing partners and heed the will of the public. I keep seeing backhanded hot takes that Cambridge should have just built at Conestoga, but that just doesn’t fly with me. Very rarely, if ever, has there been a massive roiling of public sentiment in Cambridge like what we’ve seen with the Multiplex. You could probably make a case that the Doug Craig loss in the last election can be partly attributed to the handling of the Multiplex project. The idea that we’d just end up going back to Conestoga is foolish. I hope with the change in leadership at City Hall that we can consider options that don’t keep us spinning our wheels on this process. Our community deserves facilities we can be proud of. PreviousPrevious post:Advocating to Save the GCI Amphitheatre in CambridgeNextNext post:A Cambridge Connection To The SNC-Lavalin Story? The city of Cambridge would screw up the planning of a 2 car parade even if you spotted them the lead car. While a 50M pool would be great for the city, the challenge for it is the initial cost and the operational costs of the facility. A nice compromise for ALL involved would be to look at a regional 50M pool at the Conestoga location. One that could be shared by all three cities, and the region, as well as the College. Being right by the 401 it draws people from across the region, would be great for provincial and collegiate meets, as well we would then share the costs. If we aren’t prepared to stomach the entire costs of a facility like this, we certainly have options to explore!! 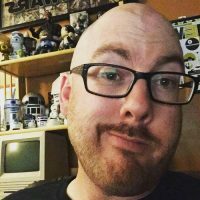 @mike shanks I could get behind this. The biggest problem with the Conestoga site was much of the net benefit of the facility being enjoyed by South Kitchener residents and businesses. If the cost of the facility was being shared, then that’s a totally different conversation than the one we’ve been fighting about for 4 years. Partner with Kitchener and build an even better facility and spread the tax burden out. I was going to get into this in my post, but thought it was a bit too much of a tangent topic. 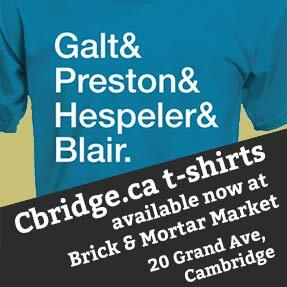 The City of Cambridge is living beyond its means. We are paying a 3 to 2% annual property tax increase and now with the Multiplex this would add another 5%. How can the Residents of Cambridge afford a 7% Property Tax increase on an Annual basis. Just can’t do that anymore.